KBSS can access the most accurate, robust and user friendly electronic torque tool. With intelligent joint sensing technology, this tool is brilliant for overshooting on hard joints and undershooting on soft joints. 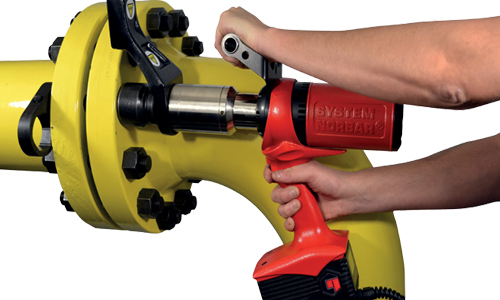 The Norbar EvoTorque utilises patent pending motor technology and motor control software to give unprecedented joint control. Each tool comes calibrated to -/+3% and is provided with a unique traceable calibration certificate that includes torque calibration and angle calibration data. Rated to IP44 and available in 110v and 230v versions with models spanning a torque range from 200 Nm to 6000 Nm, the EvoTorque is the most accurate, efficient, ergonomic and intelligent tool available.